FIFA president Gianni Infantino says doubling the total prize money for women's World Cup teams to $ 30 million US is progress. However, the total prize money will be $ 440 million for the men's teams at the 2022 World Cup in Qatar. The FIFA council on Friday ratified the financial package for the 2019 Women's World Cup in France, increasing the total prize money from $ 15 million won by the U.S. women at the 2015 World Cup. Several players' unions involving the U.S., Australia, Norway, Sweden and New Zealand raised concerns about the inequities to the world soccer governing body ahead of the council decision. In a statement sent to The Associated Press by international players' union FIFPro, the U.S. players urged FIFA to do even more to grow the women's game. "Substantial investment is required to overcome generations of inequality and discrimination in the game, to make football the world's pre-eminent sport for women and girls," the U.S. Women's National Team Players' Association said. 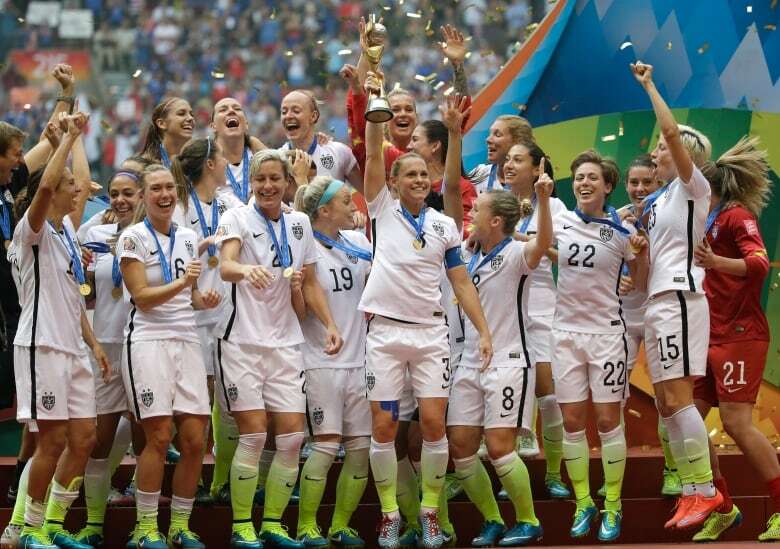 The winning women's team at the 2019 World Cup will receive $ 4 million, an increase from $ 2 million split among the U.S. team in 2015. In July, the French men's team received $ 38 million for winning the World Cup in Russia. "Football remains even further from the goal of equality for all World Cup players regardless of gender," world players' union, FIFPro, said in a statement. Infantino's told the players he's listening. "Critical comments are perfectly justified because … the unions and the players they defend their own interests, which is a fair point," Infantino said. "We need to try to find what is the most balanced way, and I think we made a step and there will be many more steps going ahead. Maybe one day women's football will generate more than men's football." FIFA announced it will make two new payments for the Women's World Cup. FIFA will share $ 11.5 million with the 24 teams for tournament preparations, including training camps, and $ 8.5 million will be split by clubs releasing players. The prize money for the men's World Cup in Russia rose 12 per cent to $ 400 million. FIFA gave teams $ 48 million for preparation costs and also shared $ 209 million with clubs that sent players to the tournament — vastly larger sums than allocated to women's soccer. According to Infantino, that is "a significant step in the right direction." "It's massively higher than the last World Cup," Infantino told The Associated Press and The New York Times ahead of the FIFA Council meeting. "We are making progress. We have to invest in women's football to make it even self-sustaining to some extent." "It's very complex to find … models where everything is equal," Infantino said. But in a letter to FIFA last week, Australia's players' union cited FIFA statutes that feature a commitment to "gender equality." The union pointed out Australian men shared $ 2.4 million for the group stage at the World Cup in Russia, but the women's team will only split $ 225,000 at the same phase in France next year. "The impact of this discrimination of women players is exacerbated by the dependence of many women players including our members on their income from their national team duties, in contrast to men," the players unions from Australia, Sweden and Norway wrote in separate letters to FIFA using the same language. Players from U.S. team called on FIFA to fulfil "statutory obligations on gender equality." "We are committed to working alongside our fellow unions, as well as with FIFA and U.S. Soccer (federation) stakeholders, to have continuous dialogue around how FIFA and USSF can fulfil their respective statutory obligations on gender equality, including the prize money for the 2019 World Cup, which is an area we feel immediate and impactful investment can be made," the U.S. Women's National Team Players' Association said. "I can understand from the players' perspective certainly because for them it's affects how much they're paid," said Sarai Bareman, FIFA's chief women's soccer officer. "People want to feel valued for what they do and part of that is remuneration." Earlier this month, FIFA announced a five-pronged proposal focused on growing the women's game and adding more women to leadership positions among the 211 member associations. It called for doubling participation to 60 million worldwide by 2026. "The vast majority of women's football players across the world are still amateur," Bareman said. "That's the most important thing for us. If we want to build the whole ecosystem of the women's game, it has to start there."